Gourmet doughnut shops have been popping up all over North America, turning the humble fried treat into something more. Using fresh ingredients and decadent, sometimes quirky flavor combinations, they are a whole new kind of beast, fit for a fork and knife; doughnuts for grown-ups. Sound like something you just may want to try? Are you thinking that it’s about time Windsor got it’s very own fancy fritter joint? Johnny Oran found himself thinking that same thing recently and he’ll be testing the waters this coming weekend at Winterfest. Oran has recently moved back to Windsor after having cooked his way all over Canada in some of the country’s top restaurants, including le 357 C in Montreal and the infamous Splendido in Toronto. 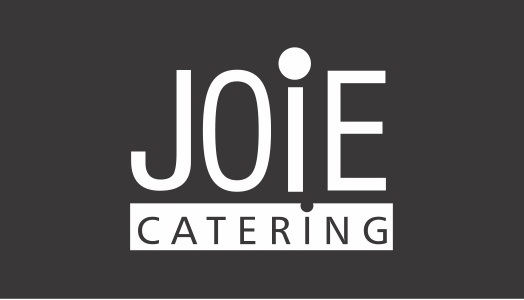 Since his return, he has started Joie Catering, specializing in intimate events and impressive displays. He is a fine dining chef through and through, but there is something about the modest doughnut that calls to him. Oran thought that downtown would be the perfect place to start such a venture. “I think it would be a great fit for the businesses crowd. People on their way to work or students needing a coffee and sugar boost to get through yet another all night-er.” The Downtown BIA is offering pop-up shops to local businesses during Winterfest on Saturday December 15th in hopes of bringing more businesses back downtown, giving him a chance to showcase his designer danishes. He will be sourcing fresh ingredients from local suppliers like Arva Flour Mill in Arva, ON and New Earth Organics from our own Windsor Essex County. What’s more, every component will be made completely from scratch. This week’s offerings will include: Chocolate salted caramel, Lemon and pistachio, Maple Bacon, Peanut butter and Concord grape jelly, summer preserved raspberry and caramelized white chocolate, and doughnut dots for the smaller appetites. He’ll also be serving hot cocoa with homemade candy cane marshmallows, pumpkin latte, coffee and mulled cider. Joie Catering is also taking holiday orders.